The death toll from the world's worst outbreak of Ebola stood on Wednesday at 1,069 from 1,975 confirmed, probable and suspected cases, the agency said. The majority were in Guinea, Sierra Leone and Liberia, while four people have died in Nigeria. The agency's apparent acknowledgement the situation is worse than previously thought could spur governments and aid organisations to take stronger measures against the virus. "Staff at the outbreak sites see evidence that the numbers of reported cases and deaths vastly underestimate the magnitude of the outbreak," the organisation said. "WHO is coordinating a massive scaling up of the international response, marshalling support from individual countries, disease control agencies, agencies within the United Nations system, and others." International agencies are looking into emergency food drops and truck convoys to reach hungry people in Liberia and Sierra Leone cordoned off from the outside world to halt the spread of the virus, a top World Bank official said. In the latest sign of action by West African governments, Guinea has declared a public health emergency and is sending health workers to all affected border points, an official said. An estimated 377 people have died in Guinea since the outbreak began in March in remote parts of a border region near Sierra Leone and Liberia. Guinea says its outbreak is under control with the numbers of new cases falling, but the measures are needed to prevent new infections from neighbouring countries. 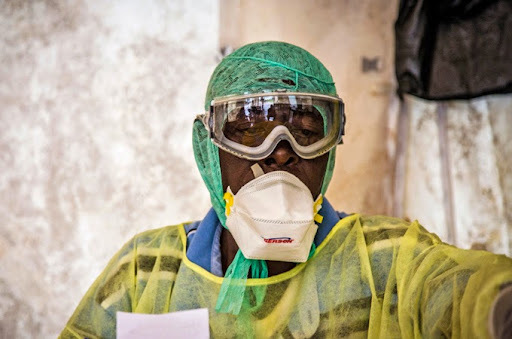 "Trucks full of health materials and carrying health personnel are going to all the border points with Liberia and Sierra Leone," Aboubacar Sidiki Diakit president of Guinea's Ebola commission, said late on Wednesday. As many as 3,000 people are waiting at 17 border points for a green light to enter the country, he said. "Any people who are sick will be immediately isolated. People will be followed up on. We can't take the risk of letting everyone through without checks."